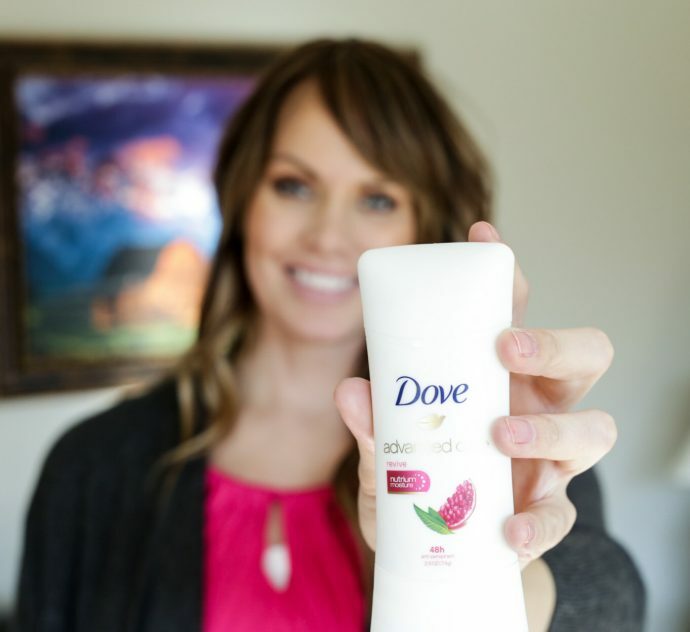 *I’m partnering with Dove Advanced Care Antiperspirant to bring you some helpful winter skincare tips! It’s smack dab in the middle of winter, and although I love the cool weather (think layering and scarves! ), it doesn’t always love my skin. Winter in Idaho is dry and typically very cold, leaving my skin parched and sometimes irritated. 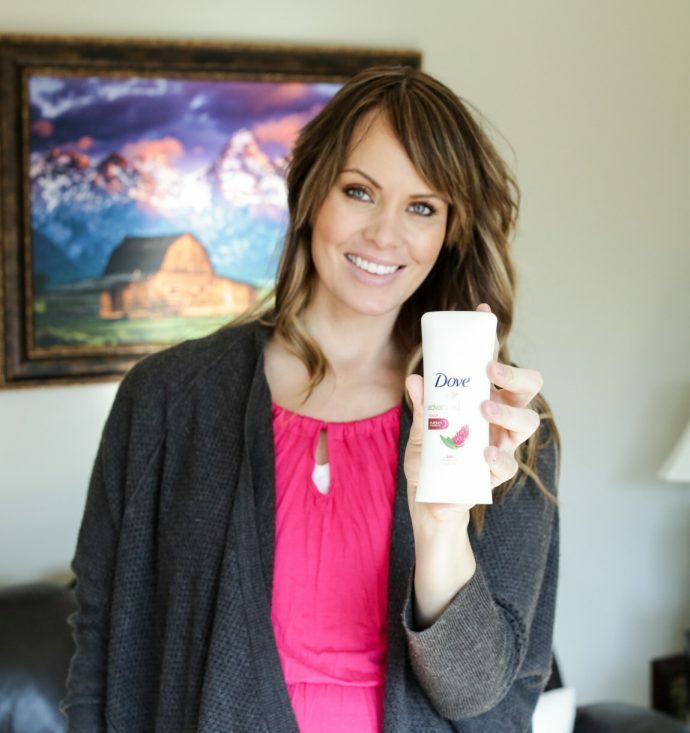 I’ve gathered my favorite tips to bring you a winter skincare survival guide with the help of Dove Dermatologist Dr. Alicia Barba who definitely knows her stuff! It’s no wonder our skin feels the effects of winter—the severe change from hot and humid to cold and dry can leave your skin in a tailspin. Right now is the perfect time to repair your skin from summer’s damage (days spent lying poolside) and prep it for cold weather. 1. Tone back on exfoliation. Exfoliation sloughs off dead skin cells which can be a good thing, but over-exfoliating in the cold winter months can actually strip your skin of its essential oils, leading to breakouts and dehydration. Don’t worry so much about exfoliation and instead focus on moisturizing. It’s easy to moisturize during the summer months when shorts and tanks are in season. But during the winter, our bodies are so covered up all the time that we often neglect to moisturize. I know I’ve been guilty of it. Personally, I’ve started making it a point to moisturize all over when I get out of the shower or bath. That way my skin gets some much-needed TLC and will be healthy and happy come spring. I know we don’t usually think about the underarms when talking about skincare, but that super-sensitive area is really important! Underarm skin is an area that shouldn’t be overlooked and it needs a product that both protects and hydrates. 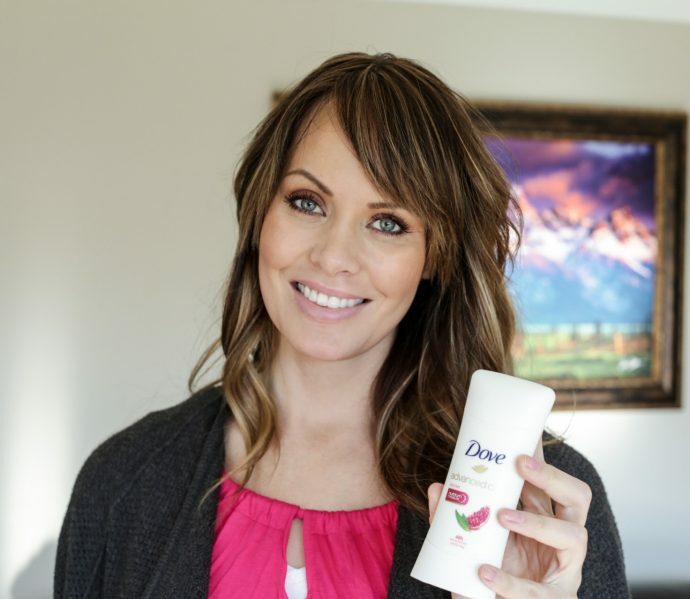 I’ve been using Dove Advanced Care Antiperspirant for years because I love what it does for my skin. Dove Advanced Care Antiperspirant provides 48-hour odor and wetness protection, plus added skincare benefits for softer, smoother underarm. It glides on super soft and smells lovely and subtle. Check out Dove Advanced Care here! 4. Yep, sunscreen even in winter. Like good students, we all know that sunscreen is an important part of any summer skincare regimen, but according to Dove Dermatologist, Dr. Alicia Barba, sunscreen is a must for all seasons. She recommends switching to a moisturizing sunscreen during the winter, something a bit richer than your summer product. Even when bundled up, sunscreen is a must for your face! 5. Bedtime is the best time to hydrate. My bedtime routine is super important to me. I learned years ago that my best skin comes when I cleanse my face and moisturize before bed every night. Dr. Barba says that bedtime is the best time to hydrate your skin, and if you really want to decrease collagen breakdown, you should follow these three bedtime steps: 1) Wash your face, 2) Apply a retinol, and 3) Moisturize. Do you see a common theme? Consistent and mindful moisturizing can make a huge difference in your skin health all year long, but especially during the winter. And don’t forget to take care of your underarms. 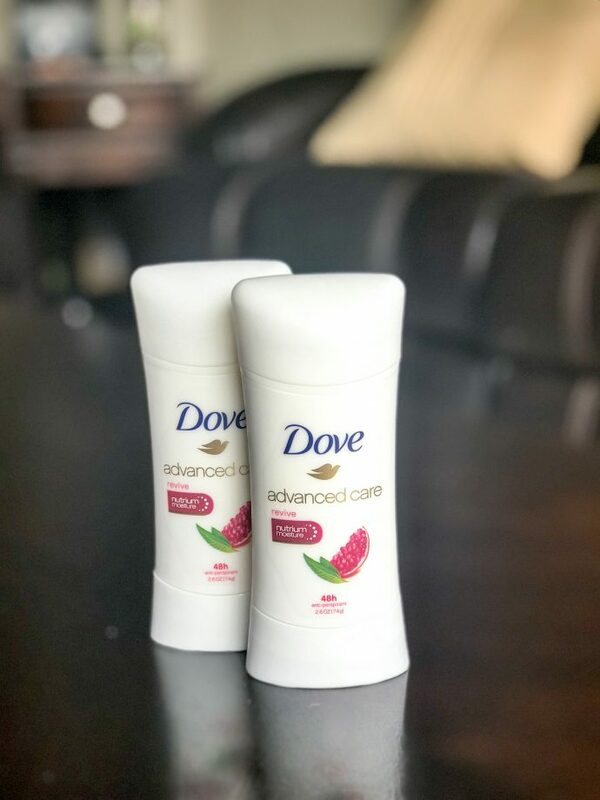 I seriously love Dove Advanced Care Antiperspirant; it’s nice and feminine and still protects all day long. Love you guys! Thanks for stopping by! *A huge thanks to Dove Advanced Care for sponsoring this post. All opinions are my own. 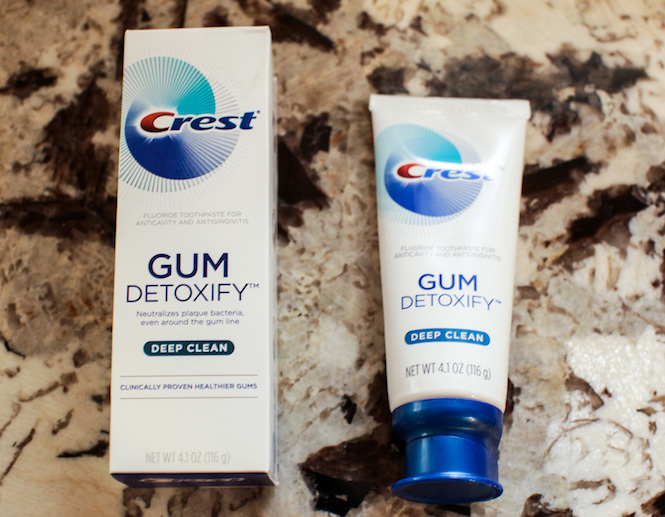 *I’m partnering with Crest to help keep easy resolutions with the launch of their new Crest® Gum Detoxify™ toothpaste. I know January is a global time of renewal and fresh starts, but this January—with baby #3 only weeks away—I’m feeling more driven than ever. Change is in the air and I need to have a game plan. Those sleepless nights are a’coming and my attention and energy is soon going to be spread even more thinly. This New Year, my resolutions are centered on my family and my health. 1.Get up every morning at 5am. Yep, that’s the one that’s going to sting, but I know that those few quiet hours before my kids wake up is going to be crucial. From 5am-7am is going to be my time to workout, film my videos, read scriptures, and get ready. Growing up, my dad was a dairy farmer and got up at 4:30 a.m. his entire life. If he can do it…I can do it. It’s practically in my blood, right? 2. Tidy up the house every night instead of waiting until it drives me nuts. I find that the day goes much smoother when it starts and ends with a clean house. The in-between may get crazy, but taking 30 minutes at the end of every single day saves me hours of deep cleaning in the long run. Plus, I’m in a way better mood when the house is clean. 3. Consistent family night. Family night is such a good habit to get into. Once a week, we circle around as a family and have a quick little lesson (attention spans are only so long), play a game, and just enjoy being together. Last year was a good attempt, but this year I want to be more consistent. 4. No TV 1-2 hours before bed. 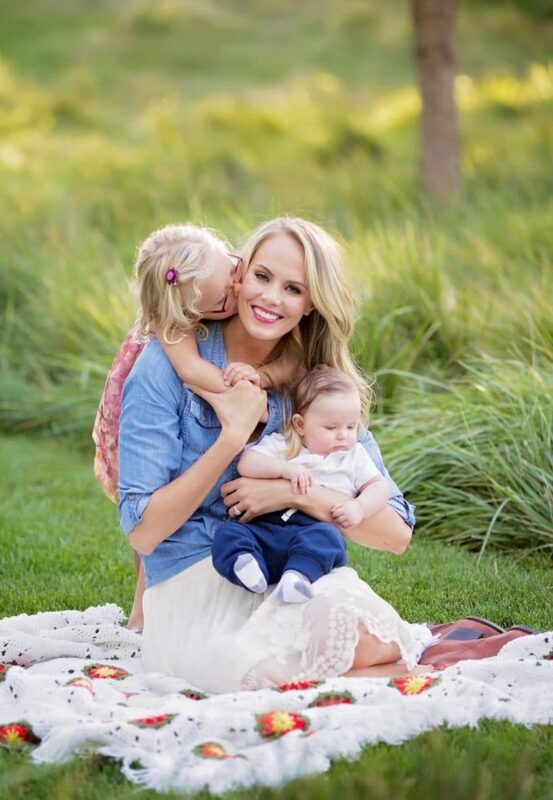 Instead of winding down to the TV, I’d love for my little family to spend that time reading books or playing games together. And we’re going to make sure to say family prayers every night. 5. Go back to counting macros after the baby. It’s not for everyone, but I loved keeping track of macros. It’s a motivating way for me to stay healthy and it helped me lose the baby weight before, so I’m counting on macros and a good exercise routine to help me out again! Speaking of healthy routines, most of us have some type of “be healthier” resolution. One occasionally overlooked aspect of our health is our oral health. 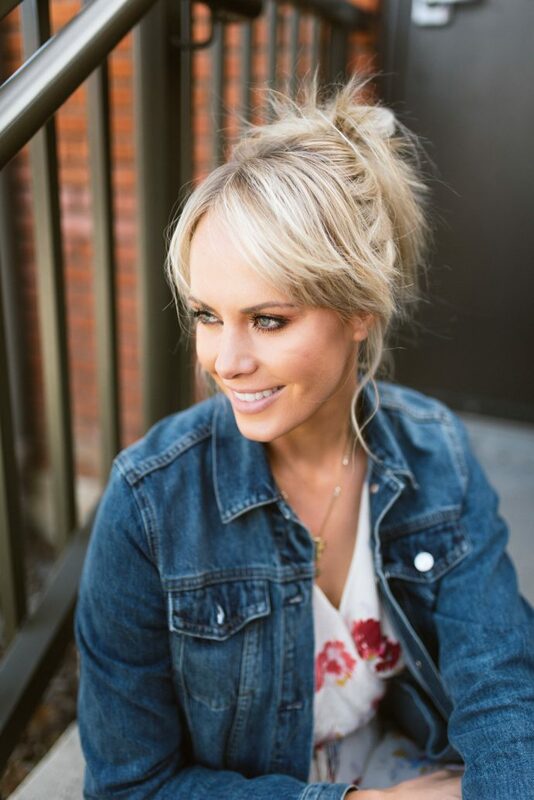 Your smile is a huge part of who you are! At the start of this pregnancy, I noticed that my gums felt more tender than usual. That’s why I was so excited to try out the brand new Crest® Gum Detoxify™ toothpaste. It’s a revolutionary new toothpaste specially formulated with Activated Foam technology that reaches below the gum line. Did you know that even the most diligent brushers can’t reach there? I love the Crest hashtag #ForGumsSake because really, #ForGumsSake, if you aren’t taking care of your gums, you aren’t taking care of you! I’m impressed w ith how clean and refreshed my whole mouth feels after using Crest® Gum Detoxify™ toothpaste. It gently cools my gums during and after brushing and leaves my gums feeling nice and tingly. It’s actually a foaming and cooling toothpaste that deep cleans my entire mouth. I love the crisp, healthy feel I get after brushing now! Can we build in #ForGumsSake? Maybe – #ForGumsSake, if you aren’t taking care of your gums, you aren’t taking care of you! 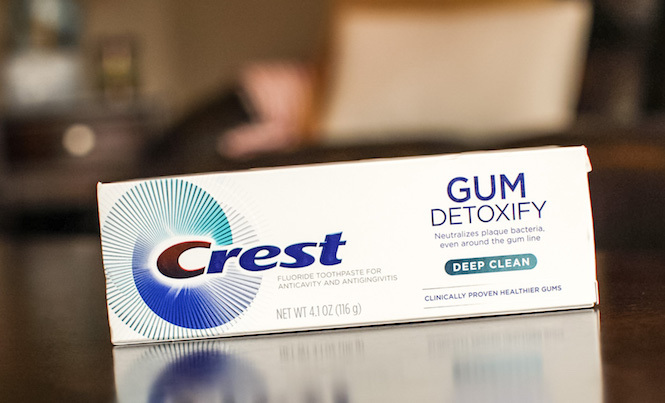 Crest® Gum Detoxify™ toothpaste is available at retailers like Walmart, Target, Kroger, and online starting in early 2018. Swap out your old toothpaste and give it a try! Here’s to new resolutions and to sticking with them!